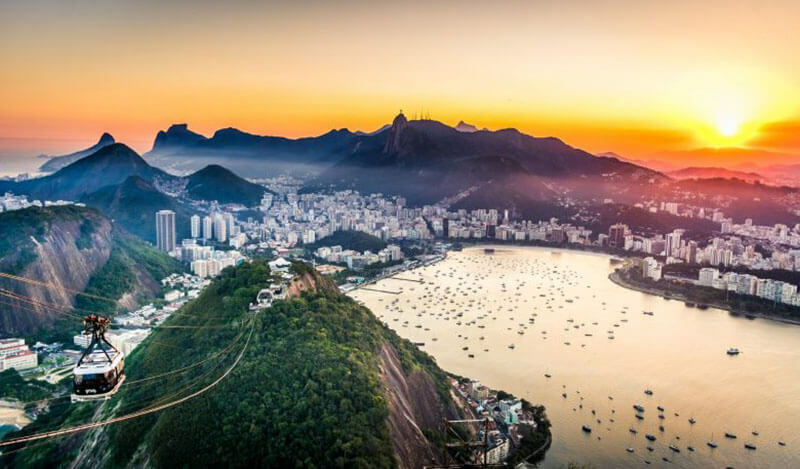 Without a doubt, Rio de Janeiro is a big goal of every traveler all around the world. At least that’s what I think about it. When I thought about Brazil one year ago my vision was clear: Beaches, parties, soccer and a lot of fun in general. After I arrived in Sao Paulo, I experienced some contrary things from my expectations, especially my first impressions were partly different. But how was Rio, the city I always dreamt to visit one day in the end? To keep it short: I had an amazing time and will tell you my reasons to visit Rio de Janeiro right now! Winter – what is that? Actually, I spent my whole time in Brazil during winter. Well, I wouldn’t call it winter. Just a little comparison: It is autumn now in Switzerland and it’s already much colder than in Brazilians “so-called” winter. Admittedly the south can get really cold, nevertheless, you will not be freezing in Rio de Janeiro at any time. I mean – who doesn’t like to walk around in shorts, a t-shirt, and flip-flops in winter? I definitely do! This makes Rio even better to visit because you can basically choose any time of the year and still can do whatever you want. Yet, it is also amazing to visit Rio de Janeiro during peak season. Talking about food again Michael? No, not yet! The great thing about Rio de Janeiro is that you can choose from several amazing beaches. Whether you go with the world-famous “Praia de Copacabana” or one of the unknown beaches – you will always have a great time. The water is great, the sand amazing and there is a big selection of places to eat food or enjoy a coconut water (for alcoholics there is also Caipirinha, don’t worry!). If you look European or American like me you will also experience many little shows of the local sellers at the beach. They will sing, make jokes and even though they don’t understand you just be happy to sell their stuff. For me, the beaches are already one of the main reasons to visit Rio de Janeiro. And that leads us to the, in my eyes, one of the greatest reasons to visit Rio de Janeiro as soon as possible. In the end, the people make a country. I’m sure you heard a lot about Brazilians – their parties, their happiness and their hospitality. It’s a big lie! They are even better and crazier than in every story you heard. There may be many issues with the economy and some politicians. However, the nation of Brazil always shines with their joy of life. This might sound kind of stupid, but just believe me – you have to experience it for yourself. As an example, once I went to a suspicious place at night to make some pictures. The uber driver was concerned that something will happen to me and insisted to wait there the whole time, without expecting anything in return. Afterward, he played Brazilian music the whole way back and was celebrating that he has a “German” (because he didn’t know Switzerland he thought I am German – another example for “What people think when you’re Swiss“) in his car. Sounds totally crazy? It is! And we didn’t even talk about the nightlife of Rio de Janeiro – well, I’d say forget about Las Vegas! You didn’t really think I will not talk about food? For that, I love food too much! And that is valid for Brazilian food even more. To be honest, that was the point that surprised me the most. My friends told me a lot about the Brazilian cuisine, though I just ate in a Churrascaria (basically Brazilian BBQ) in California before. Not the right standard, huh? So it was my mission to try everything I see – and that was a good idea at the end. To be honest, there were too many kinds of different food to tell you all of them – but I will shortly talk about my favorites. And there is no question about that: Coxinha. From the first moment I tried Coxinha, which is basically a croquette filled with chicken, I was totally in love with it. Well, maybe my overuse of Caipirinha that night helped to build my opinion, but I ate it so much during my month in Brazil! What you also should try are Feijoada (Beans, meat, and rice), Pao de Queijo (cheese bread) and for the love of god go to a Churrascaria. You will not regret it (maybe your belly though). The best comes last? Yes! This is the factor that differs Rio de Janeiro from other big cities – even around Brazil. 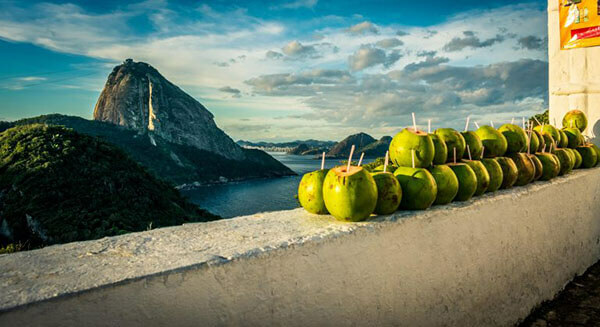 The incredible views, landscapes, and hikes: There are just so many points of interest in Rio de Janeiro. And I’m totally serious about that. 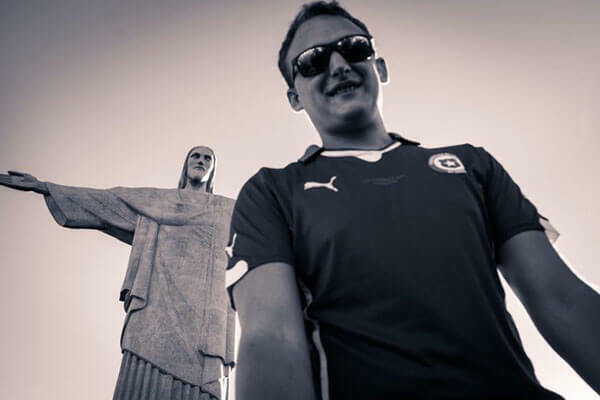 Standing in front of “Christ the Redeemer” is already a dream for many. And to finally be there is just a great feeling. But there is something even better: The Sugarloaf Mountain. 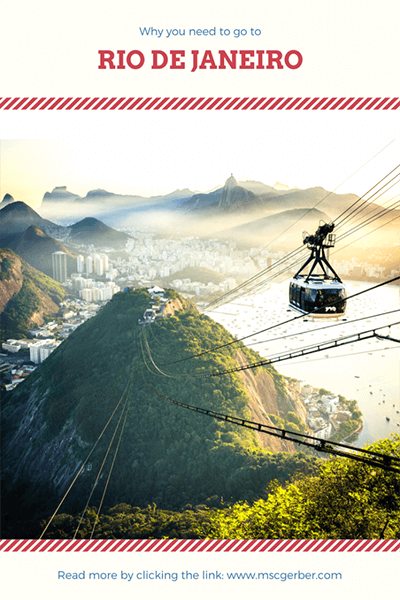 Accessible with a cable car it’s quite easy to reach and the views from the top over whole Rio de Janeiro is breathtaking. We went there for the sunset and it was the absolute right decision. At the end of the day, moments like this make you happy and stay forever, especially if you share them with your friends. And that’s it? No! There are so many great viewpoints all around Rio de Janeiro. I also went to the Pedra Bonita which is an easy 30-minute hike that rewards you with an overview of the whole city. It is also possible to enjoy 30 minutes of paragliding there like I did in Fethiye. Some other places I didn’t manage to go to because I explored them at the end of my time in Rio de Janeiro. For example the Pedra Gavea ( a whole day of hiking), Pedra Telegrafo (famous Instagram spot) or Morro dois Irmaos, which you can combine with a favela tour. I linked all of them for you with specific tours that you can book to have a professional guide with you, which is highly recommended in Pedra Gavea and Morro dois Irmaos. Right after my stay in Rio, I headed to Sao Luis in the North East of Brazil where I also spent a great day in the National Park of Lencois Maranhenses.